WASHINGTON (Reuters) - The U.S. Environmental Protection Agency has decided to release a single draft rule to expand sales of higher ethanol blends of gasoline and curb biofuel credit speculation, after having contemplated separating the measures, a senior official at the administration told Reuters on Tuesday. 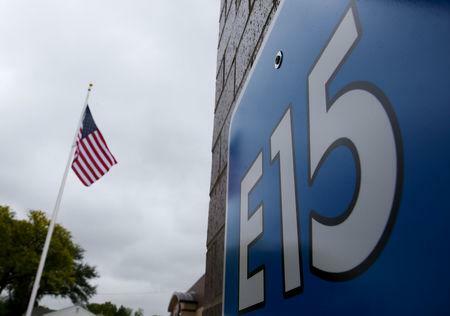 The EPA was thinking about releasing the measures separately to allow it to focus on finishing its rule to lift a summertime ban on sales of so-called E15 gasoline in time for the U.S. driving season, sources familiar with the matter told Reuters on Monday. Under the U.S. Renewable Fuels Standard, oil refiners have to blend increasing volumes of biofuels into the nation's gasoline and diesel each year, or purchase credits - called Renewable Identification Numbers (RINs) - from those who do. "When we came back from the shutdown....we had a conversation about whether we needed to split E15 RVP waiver from the RIN market reform," Bill Wehrum, Assistant Administrator for Air and Radiation, said in an interview. "Wheeler said the President had instructed us to keep it together and we are going to keep it together," he said, referring to EPA's Acting Administrator Andrew Wheeler. President Donald Trump announced in October he was directing the EPA to allow year-round sales of E15, in a win for the powerful corn industry which supplies ethanol. 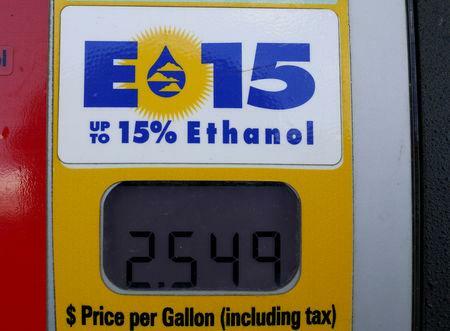 E15 gasoline contains 15 percent ethanol, versus the 10 percent found in most U.S. gasoline. The ban had been imposed over concerns that E15 contributes to smog in hot weather. The agency has planned to release the draft rule in early February but ran into delay due to a 35 day-long partial government shutdown that furloughed workers. But Wehrum has said the agency is still set to complete the rule before June 1, in time for the summer driving season. The EPA will combine credit trading limits into the E15 rule as a concession to the oil industry, which says speculation increases the price of the biofuel credits it must purchase to comply with federal law. "We intend to keep them together for proposal and for final action," Wehrum said, adding that the agency was moving at a 'very expeditious' pace on the E15 rule. He did not say when EPA would release the draft rule.